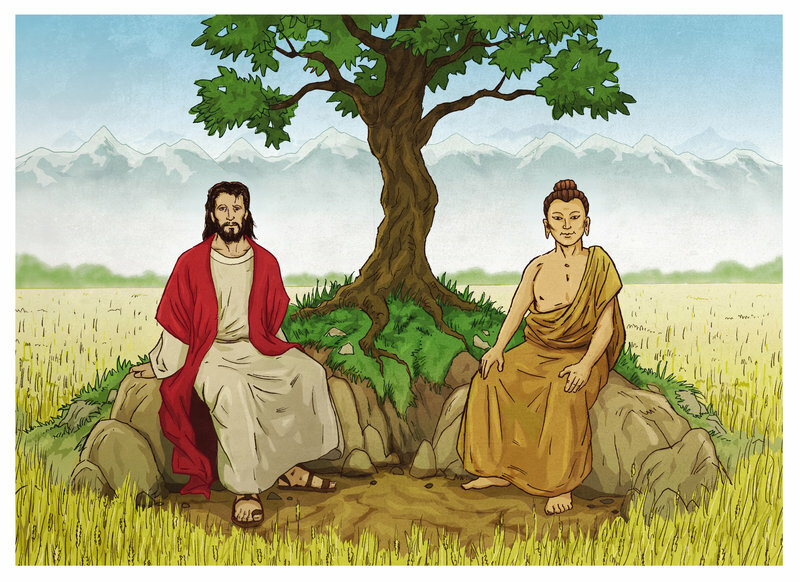 Jesus and Buddha as Brothers. Reprinted with permission from "Going Home: Jesus and Buddha as Brothers" by Thich Nhat Hanh, Riverhead Books, an imprint of Penguin Putnam, Inc., 1999. Buddhists believe in reincarnation, the possibility for human beings to live several lives. In Buddhist circles, we do not use the work incarnation very much: we use the word rebirth. After you die, you can be reborn and can have another life. In Christianity, your life is unique, your only chance for salvation. If you spoil it, then you will never get salvation. You have only one life. Buddhism teaches that there is non-self, anatta. Christianity clearly teaches that a Christian is a personalist. Not only are you a person, self, but God is a person, and He has a self. The Buddhist teaching of emptiness and no substance sounds like the teaching of no being. Christianity speaks of being, of existence. The teaching of St. Thomas Aquinas speaks of the philosophy of being, la philisophie de l'etre, the confirmation that the world is. Many people, especially in Christian circles, say that there are things in common between Christianity and Buddhism. But many find that the philosophical foundations of Christianity and Buddhism are quite different. Buddhism teaches rebirth, many lives. Christianity teaches that only this one life is available to you. Buddhism teaches that there is no self, but in Christianity there is a real self. Buddhism teaches emptiness, no substance, while Christianity confirms the fact of existence. If the philosophical ground is so different, the practice of compassion and loving kindness in Buddhism and of charity and love in Christianity is different. All that seems to be a very superficial way of seeing. If we have time and if we practice our own tradition well enough and deeply enough, we will see that these issues are not real. In Plum Village, where many people from different religious backgrounds come to practice, it is not difficult to see that sometimes a Buddhist recognizes a Christian as being more Buddhist than another Buddhist. I see a Buddhist, but the way he understands Buddhism is quite different from the way I do. However, when I look at a Christian, I see that the way he understands Christianity and practices love and charity is closer to the way I practice them than this man who is called a Buddhist.